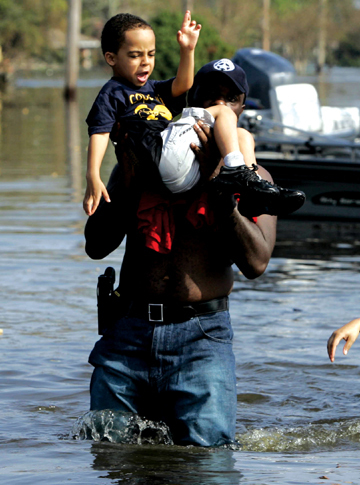 New Orleans Officer carries a child to higher ground in the aftermath of Katrina. The New Orleans Police force has not had a raise in 8 years and, not surprisingly, their numbers have gone down by 30 percent since 2010. 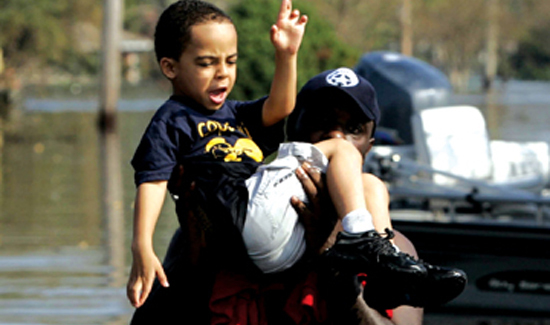 In fact, Nawlins Cops are leaving at a rate of around one every three days.